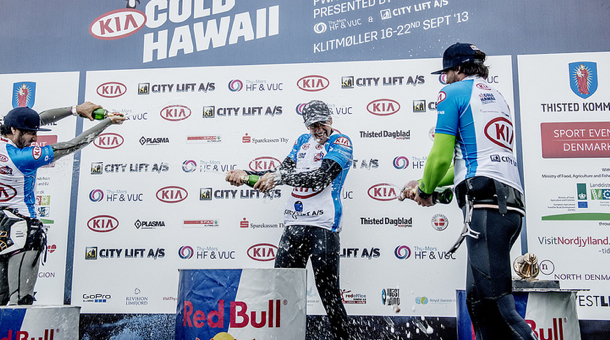 Friends of Cold Hawaii, the team behind the Cold Hawaii PWA World Cup have just announced Klitmoller will not host a PWA World Cup in 2014. They are still hoping and working to hold an event in 2015. A record number of events are planned for the 2014 season as they aim for new heights with 17 events! Many of the popular destination are back, new events are scheduled for El Yaque, La Torche, New Caledonia, and Turkmenistan. 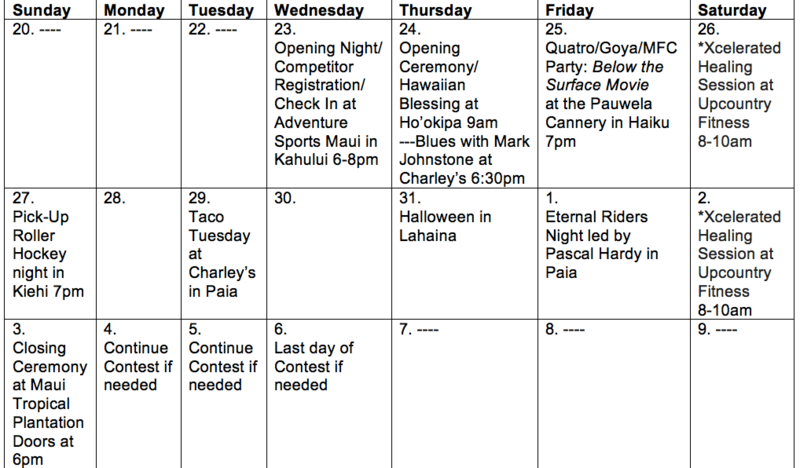 As well as Chile back on the schedule this year, a return to Maui for the Aloha Classic. 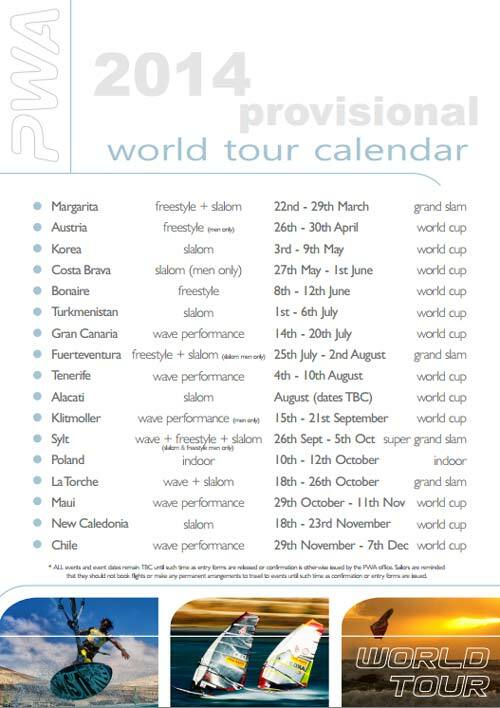 Alos exciting is Bonaire for some freestyle, and the return of an indoor event in Poland! Levi Siver takes the prestigious Aloha Classic Crown, defeating Bernd Roediger. Bernd had battled his way back from 3rd in the double elimination knocking out 3 time PWA World Champion Kauli Seadi to face the winner of the sinlge elimination Levi Siver. Winds had lightened after some squals rolled though but waves kept pumping. 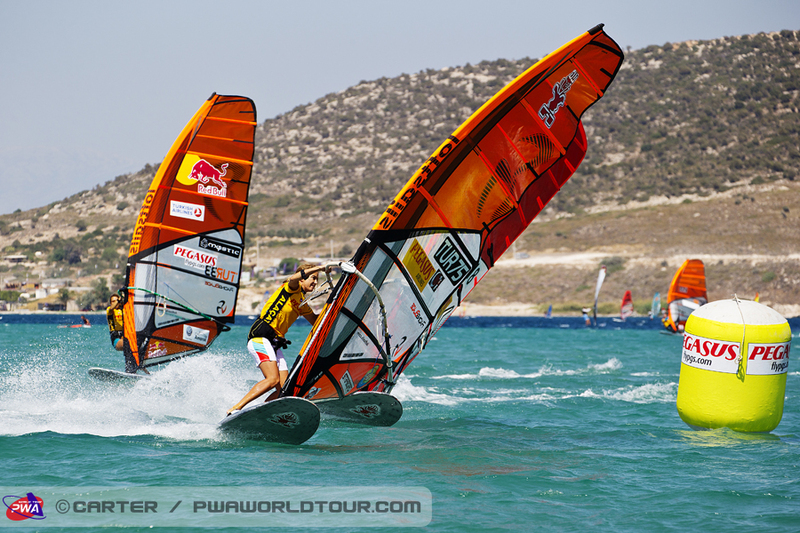 Levi and Bernd went head to head in epic wavesailing battle. Levi played the smart game knowing he had to be defeated twice, as Bernd layed it all on the line and didn’t hold anything back. Bernd radical attempts were fun to watch but he shot himself in the foot as he just nearly missed them. Levi Siver’s smart sailing gave him the title, as he impressed judges with smooth and powerful wave riding. Congratulations JP Aloha Classic winner Levi Siver. Today the PWA confirmed that the season finale wave event in Chile has been cancelled, and the 2013 Wave World Champion will be crowned at the JP Aloha Classic currently taking place in Maui. With the local boys from teh AWt thrown into the mix, Levi Siver sits in first after the single elimination, the men’s title race has intensified even more. With the South American comp now off the schedule Daida Moreno becomes the ladies champion after just one contest in 2013. 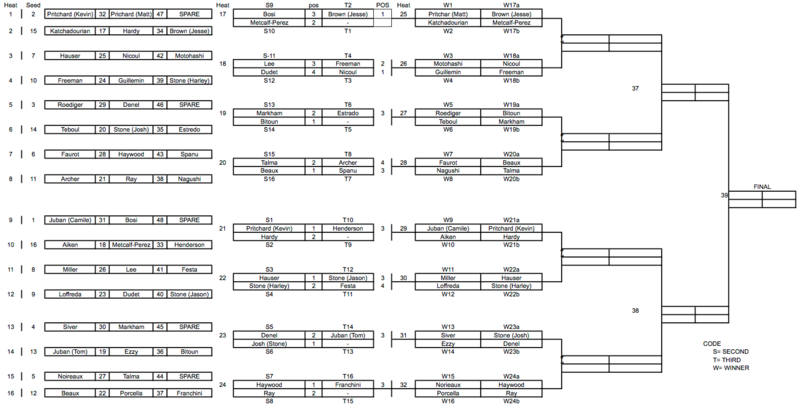 The double elimination at the JP Aloha classic is set to begin later today. The day started early with the opening ceremony at 9am which streamed LIVE across windsurfing sites, and was provided by the PWA and AWT. The thought provoking Hawaiian blessing asked for wind and waves and almost immediately the breeze started to build ruffling the head high surf. It was amazing to have riders from all over the world come together during this spiritual moment at the home of windsurfing. The beach was full of World Champions. 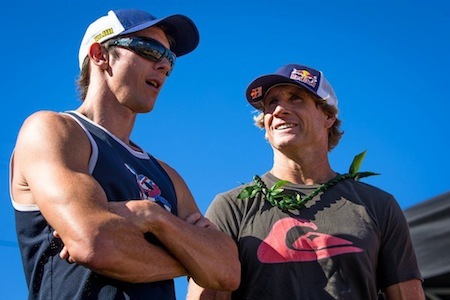 Jason Polakow was unable to compete this year, Robby Naish is. With the competition now officially open Head Judge Duncan Coombs decided to run straight into the AWT Pro fleet with the first 16 heats of Round #1 while keeping the option to run all fleets later. It was not long before it was clear that the combination of fun conditions and motivated riders was delivering excellent competition. It was decided that we would continue with Round 2 and heats 17 through 24 before moving into the Women’s heats. KP finds a sweet section! Sam Bittner getting ready for her heat. 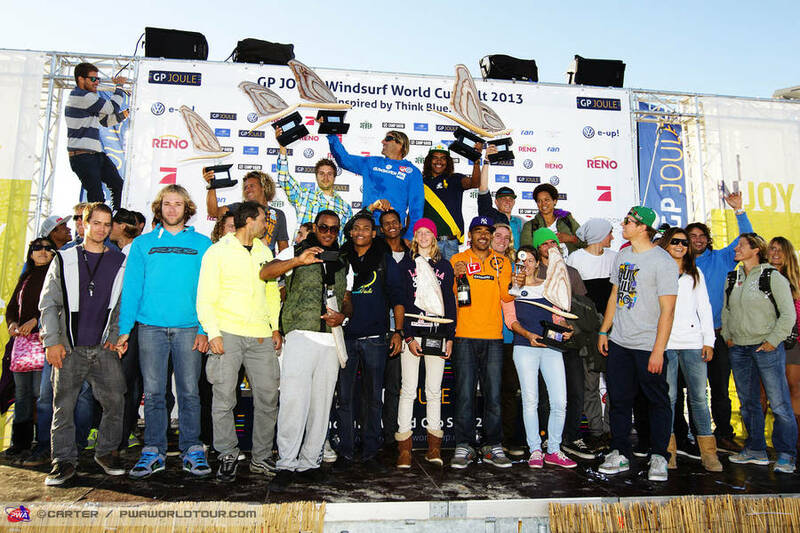 The stage is now set for what promises to be one of the biggest clashes of windsurfing talent in living memory. 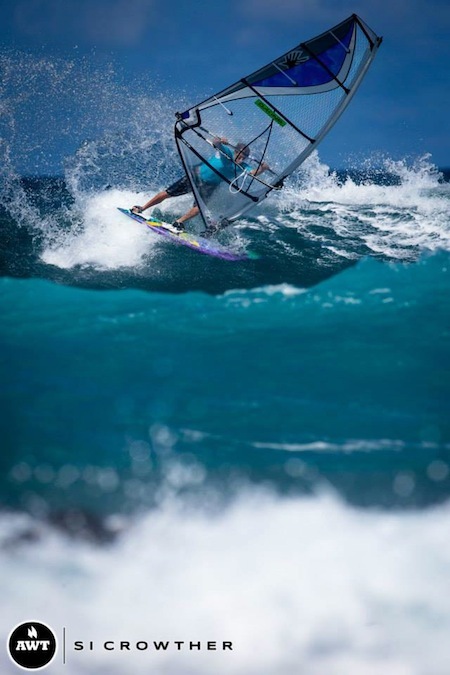 Robby Naish, probably the biggest name in the history of windsurfing, has confirmed his participation in the upcoming JP Aloha Classic that begins on Thursday 24th October, at Ho’okipa Beach Park, Maui, Hawaii. 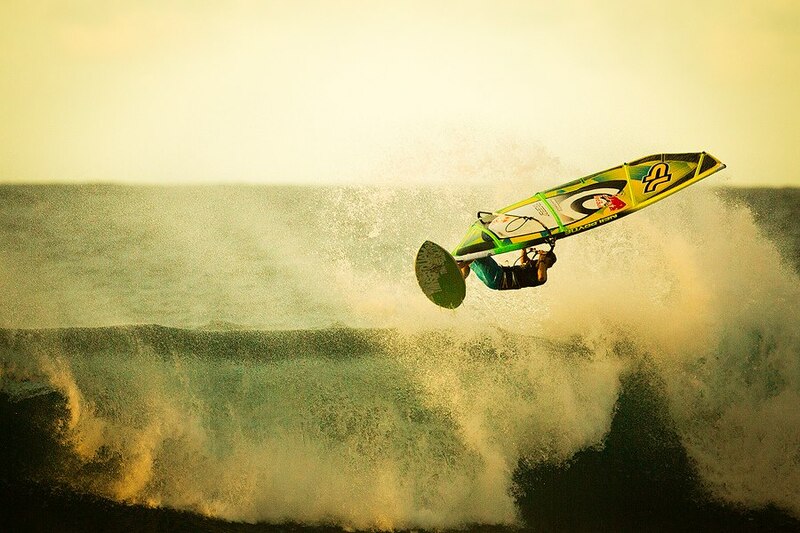 For the first time since 2000, Naish will compete on the PWA World Tour. 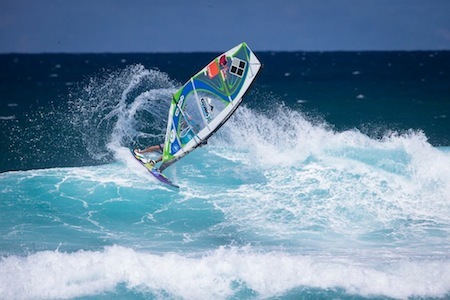 Taking the third “Champions” wildcard alongside Kevin Pritchard and Josh Angulo, directly into the main PWA event, Naish will complete a competition line-up that spans over three generations. 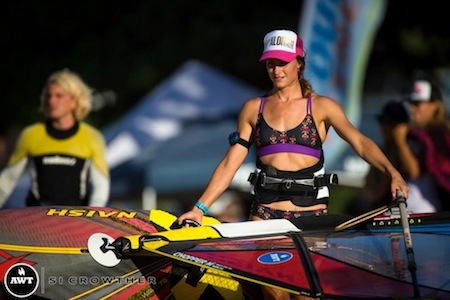 Some of the newest and most innovative talent in the sport will go head to head with the very pioneers that paved the way for modern day windsurfing to become the explosive, dynamic and action packed sport that it has evolved into. In the challenging, historic surf of Ho’okipa, the experience and mastery of the ocean, held firm by the old guard, will offer a perfect contrast to the unorthodox and radical departures of the goiter generation. 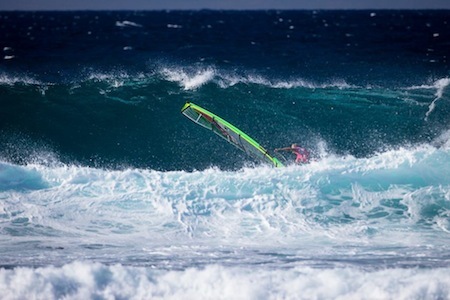 A true test of “bread and butter” top to bottom wave riding versus aerial trickery will ensue, as all riders leave caution on the beach and go all in to try and claim their seat at the elusive Ho’okipa winners table. 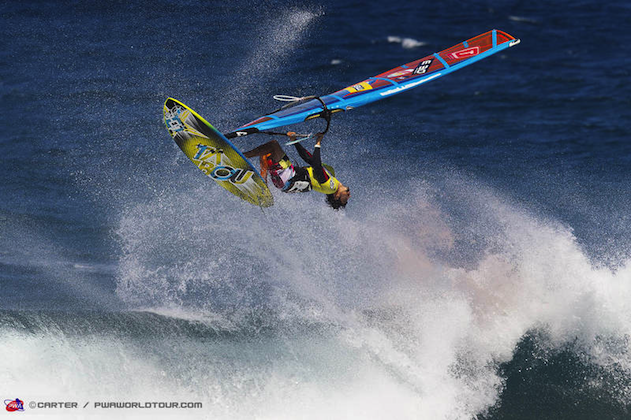 Naish was keen to point out that his contention for the Aloha Classic title was not something to be taken too lightly. At 50 years of age, he is in some of the best shape of his life and his sheer presence will be enough to deter all but the steeliest opponents. 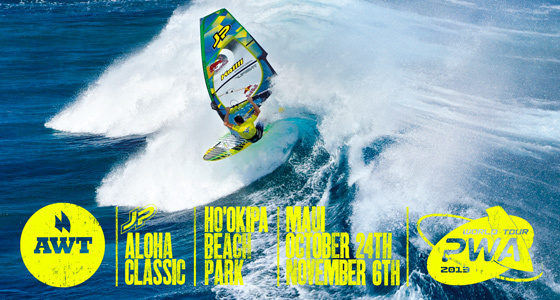 The 2013 JP Aloha Classic will bring together the American Windsurfing Tour and the PWA World Tour to create one of the biggest wave sailing events of all time. But don’t worry if you can’t make it to Maui for the event itself, the pro divisions will be broadcast live via the internet and will be available to watch on demand afterwards so don’t miss out. 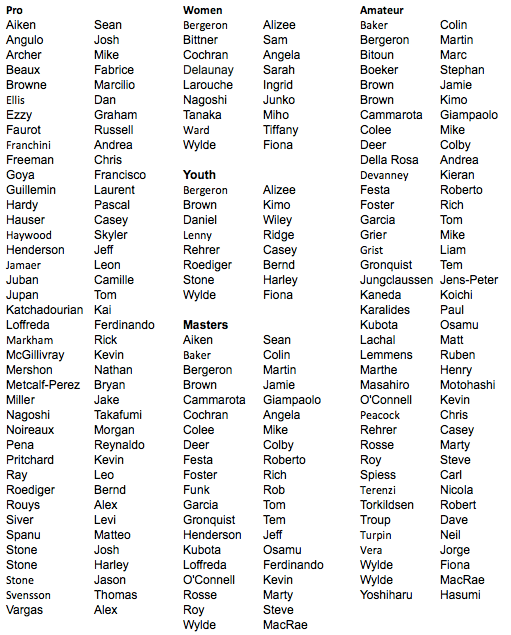 For further information and for all the action as it happens, tune into www.pwaworldtour.com and www.americanwindsurfingtour.com from the 24th October to see the likes of Koster, Fernandez, Browne, Stone, Angulo, Pritchard, Roediger, Juban, Siver, Mussolini and of course, Robby Naish together in full blown competition action for the first and possibly last time ever! The AWT and PWA will soon be bringing us the JP Aloha Classic Presented by Kuau Store. Read the press release and details from the AWT below, 92 competitors are already registered. 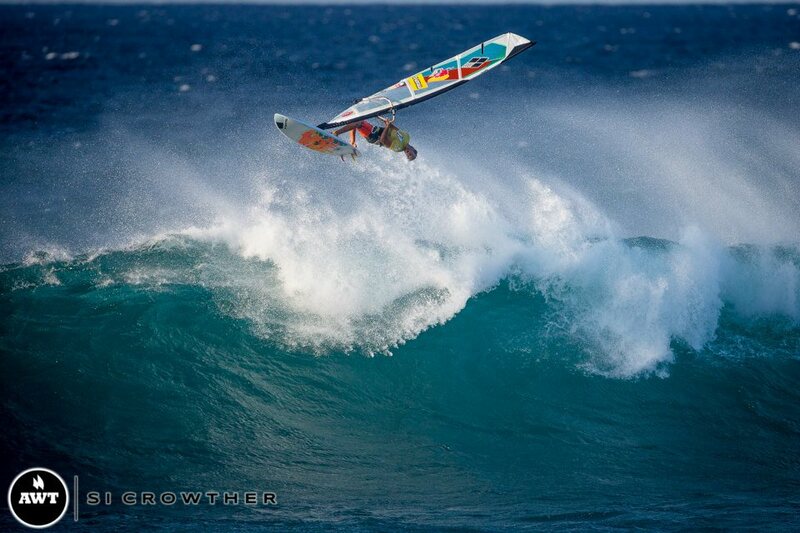 The AWT is happy to welcome the PWA to Maui for the JP Aloha Classic at Ho’okipa October 24th-November 6th. AWT divisions will run as usual. Top 2 AWT ranked riders automatically advance to the PWA bracket as well as top 6 ranked riders from the AWT Pro division at Ho’okipa. 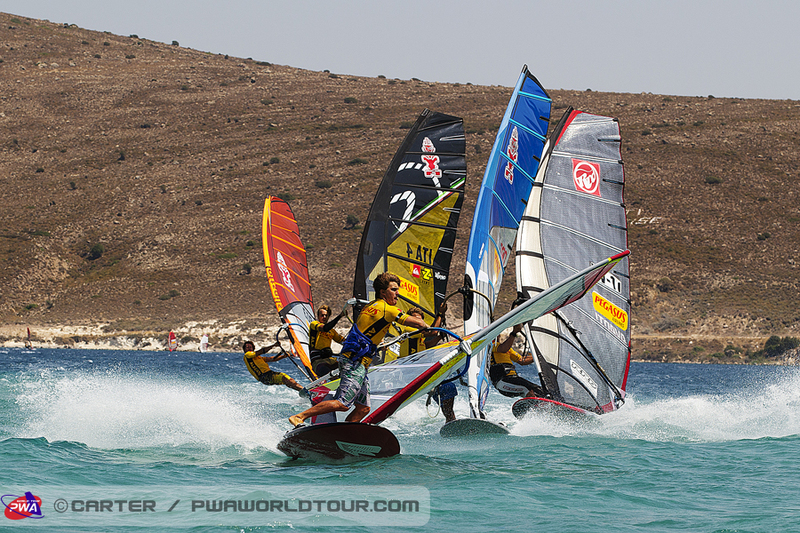 We have a great crew lined up to run the event including PWA Head Judge Duncan Coombs. The judges panel will consist of many local knowledgeable and trained judges such as Pascal Hardy, Chris Freeman, Alex Bitoun, Michael Archer, Griffin Freysinger and Neil Turpin. Kai Katchadourian will once again be entertaining the world commentating for the live cast. He joined by several guests throughout the contest. 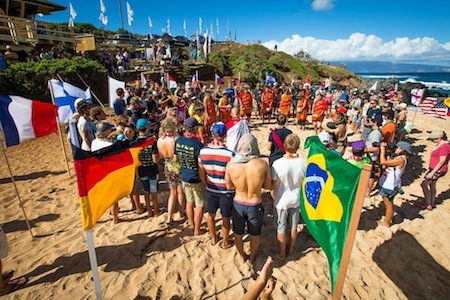 Local comedian Chris Seeley will be joined by Pietro Porchella announcing on the beach for spectators at Ho’okipa. Porchella has been present at all wave contests on Maui since the Maui Grand Prix in 1981. He has worked all 21 previous editions of the Aloha Classic. We are looking forward to his knowledge on the beach. Our fearless Beach Marshal Dane Dingerson will be at the beach the entire contest keeping all competitors in check for their heats. 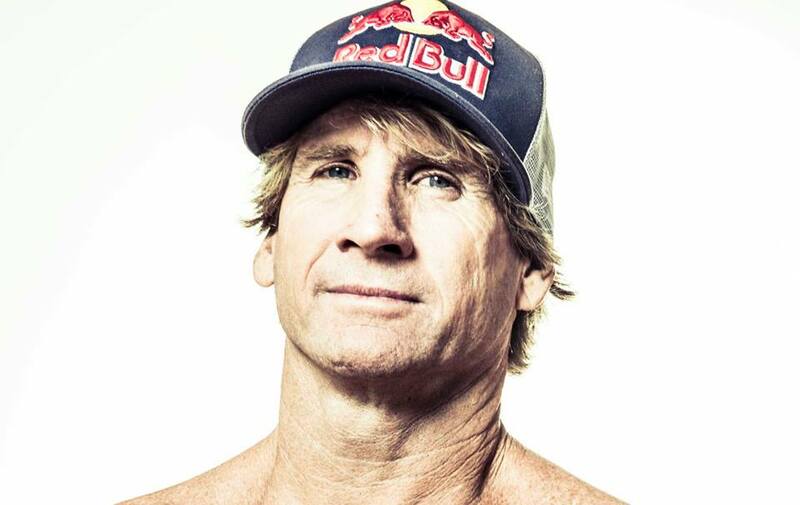 Red Bull is the official sponsor of water safety and rescue which will be led by DK Walsh. Maui Nerd Productions led by Kevin Pritchard will be producing quality short video clips of the action throughout the contest. Professional Photographer Si Crowther is the official photographer for the entire event. And for all of you who can not attend the event, Stephan Boeker from Live Maui Webcasts will be producing a live cast for the world to watch all AWT Pro, and PWA heats from home. Tune in on the action at AmericanWindsurfingTour.com and post your comments on twitter and facebook to stay in the loop. We have a great list of 92 AWT riders registered as of today. If you have not registered yet, please do so at AmericanWindsurfingTour.com. Encourage your friends to sign up as well! sThe 2013 GP Joule PWA Sylt World Cup proved to be a huge success once more as Sylt delivered five days of wind, which saw the men’s freestyle double elimination – dedicated to André Paskowski – completed, whilst five eliminations in the men’s slalom were also finished. 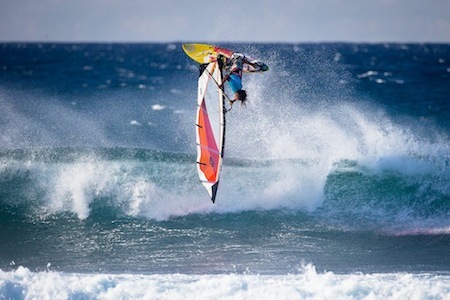 The past ten days will remain in the memory of Kiri Thode (Starboard / Gaastra) for the rest of his life, after the Bonairean finally realized his dream of becoming the PWA Freestyle World Champion, having come so close on many occasions before. Antoine Albeau (RRD / NeilPryde) produced another fantastic display to not only claim the event victory, but also the 2013 PWA Slalom World Championship – back-to-back world titles for the Frenchman. 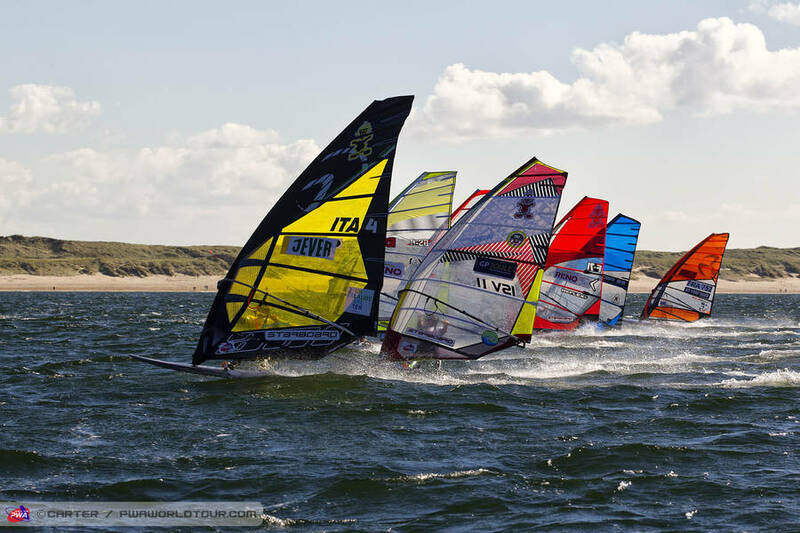 The fifth day of the GP Joule PWA Sylt World Cup saw the wind return as a further two slalom eliminations were completed in chilly, but beautiful weather. The offshore winds made for tricky racing in 7-15 knots of breeze, but there were still some exhilarating battles over the course of the day. Josh Angulo (Angulo / Gun Sails) continued his fantastic form this week as the secured another bullet and a second place to move to the top of the event rankings, whilst Alberto Menegatti (Starboard / Point-7) hit back in race four with his first race victory of the event. Josh Angulo timed his start to perfection in the opening winners’ final of the day as he crossed the start line in first place. Angulo then built on his brilliant start as he held the lead ahead of Alberto Menegatti, Arnon Dagan (RRD / NeilPryde) and Kasper Larsen (Starboard / Loft Sails), whilst Cedric Bordes (Tabou / Gaastra) and Julien Quentel (RRD / NeilPryde) collided with each other, but both sailors did well to stay upright. Over the remainder of the course Angulo showed blistering speed and perfect gybes – which he pumped out of – to storm to his second victory of the week. Behind him Quentel once again demonstrated that he is one of the quickest sailors on the tour as he fought his way into second place, with Antoine Albeau (RRD / NeilPryde) and Dagan completing the top four, leaving Menegatti to settle for fifth place. Elsewhere in race three there were several upsets in the opening round – the first of which came in heat three as Jordy Vonk (Patrik / Loft Sails) – who was ninth at the beginning of the day – narrowly missed out on a place in the quarterfinals after finishing in fifth place, whilst Steve Allen (Starboard / Severne) was also knocked out. Heat four was eventually completed at the fifth attempt – after a combination of a false start and the wind dropping on several occasions – but in the end Finian Maynard (RRD / Avanti) and Ludovic Jossin (Patrik / Loft Sails) both took earlier than planned exits, whilst Chris Pressler (Starboard / Severne) did well to clinch the final qualifying place. The drama wasn’t finished there either as Taty Frans (Starboard / MauiSails / Mystic / Maui Ultra Fins) also failed to escape from heat five, before Bjorn Dunkerbeck (Starboard / Severne / Chris Benz / Dunkerbeck Eyewear) was disqualified for sailing in the wrong heat – heat seven when he was supposed to be in heat eight. Further drama ensued in the opening semifinal as Sebastian Kornum (JP / NeilPryde) crashed into Gonzalo Costa Hoevel (Starboard / Loft Sails) on the exit of the third gybe – at the time both sailors were qualifying for a place in the winners’ final, but neither qualified after the collision – instead Julien Quentel and Peter Volwater (Fanatic / Avanti) benefitted as they finished in third and fourth place respectively. Josh Angulo made another blistering start to the second winners’ final of the day as he once again crossed the line in first place, however this time around he couldn’t quite hold his lead into the first mark as Alberto Menegatti came flying down the opening reach to take the lead ahead of Angulo, Steven Allen and Antoine Albeau. With clean wind and acres of clear water ahead of him, Menegatti extended his lead over the chasing pack to claim his first victory of the week, which moves him up to fourth place overall for the event. In the meantime Angulo cemented his place at the top of the rankings after finishing in second place with Albeau and Julien Quentel finishing third and fourth respectively. Just as in race three there were further upsets in the first round of elimination four – firstly Pierre Mortefon (Fanatic / North) failed to qualify from heat one. The Frenchman entered the first gybe in the lead, but after struggling to get back onto the place he ended up finishing in seventh place. Jordy Vonk, meanwhile, suffered his second first round exit of the day in heat two, whilst Ross Williams (Tabou / Gaastra) was also knocked out in heat three after catapulting and finishing in fifth place. Jimmy Diaz (Starboard / North) was the final upset in the opening round as he finished heat eight in sixth place. The forecast for tomorrow is predicting strong winds, with gusts of up to 29 knots being predicted. With this in mind it looks as though the freestyle sailors will take center stage for the first time this week, depending how the conditions materialize, whilst there is still the potential for some high wind slalom as well. The skippers’ meeting for the freestyle and slalom fleets will be held at 10am with the action commencing at 10:30am, whilst the wave sailors will meet at 1pm. 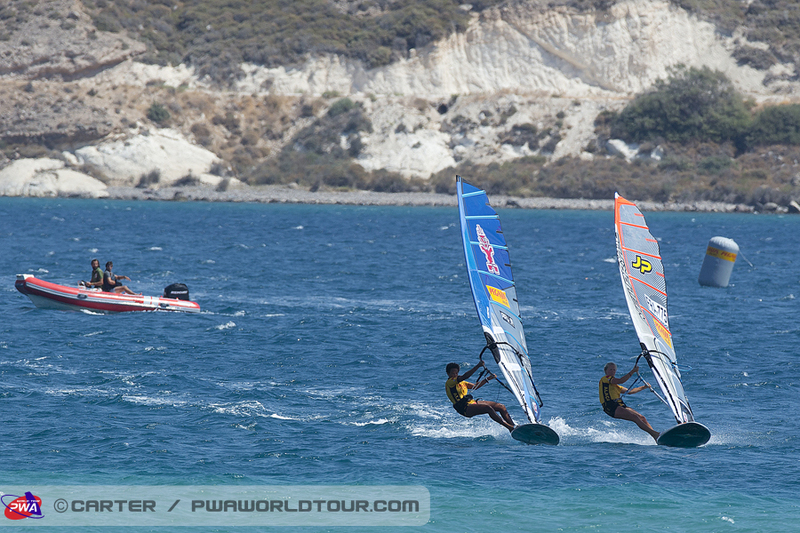 Don’t miss any of the explosive and radical action by tuning into the PWA livestream at www.pwaworldtour.com.